So I went to Lauryn Hill’s show over the past weekend at Radio City, as part of the MLH Caravan tour. Despite hearing about her horrible reputation for showing up excessively late to shows, I’d never seen her live and was curious to see her in concert. I meet my friend at the venue in time for the show, which was scheduled to start at 7:30. I tried to be optimistic & hope her show would start right after the multiple opening acts scheduled. There were 3 acts unknown to me that each had a 30 minute set. I totally forgot that the rapper Common was also on the bill as a guest. It’s my second time seeing him as an opening act, the first time, he was opening up for Jill Scott at the same venue. He did his thing with high energy, and saved what would’ve been an unbearable wait. To make a long story short, Lauryn didn’t disappoint in keeping folks waiting. She didn’t appear onstage until just before 11PM. And that was after her band came onstage & began playing 15 minutes earlier. Lauryn performed most of her hits from her Miseducation album, some Fugees tunes and a couple of Sade tracks. Even Common made a brief appearance back onstage to do a duet. Lauryn put on a good show once she finally got there, did a full 1.5 hours onstage. I would’ve enjoyed the show more had she started about 2 hours earlier than she did. My friend and I were amazed at how so many people in the audience seemed to just take the hours long wait in stride. The lesbian couple next to us who had obviously been to Lauryn’s previous shows brushed it off commenting she’s always late. I suspect the open bar had a lot to do with keeping folks happy during all that time. Glad I had the chance to finally see her live but unless she produces an album of new music, or magically score some free tickets, I won’t be back anytime soon. I started this in August, just before I left on vacation to Cancun. Worked on it during both legs of the flight back & forth, while on the couch watching TV, during breaks at work. It seemed like this project was never gonna be finished. But last night I made it to the light at the end of the tunnel. 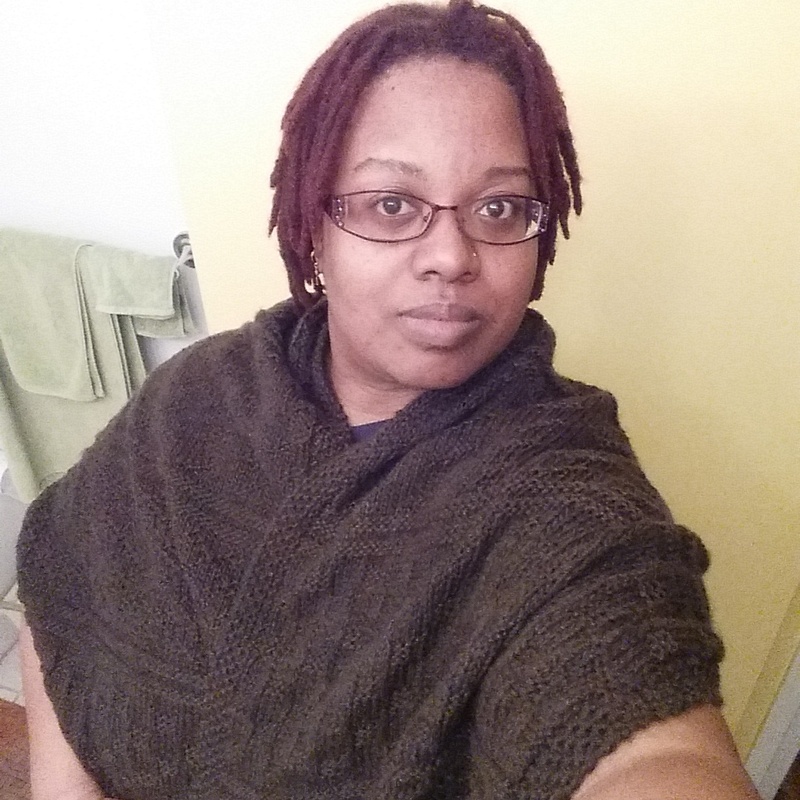 And while watching mindless reality TV shows, I finally finished my rendition of the Muti poncho by Taiga Hilliard. 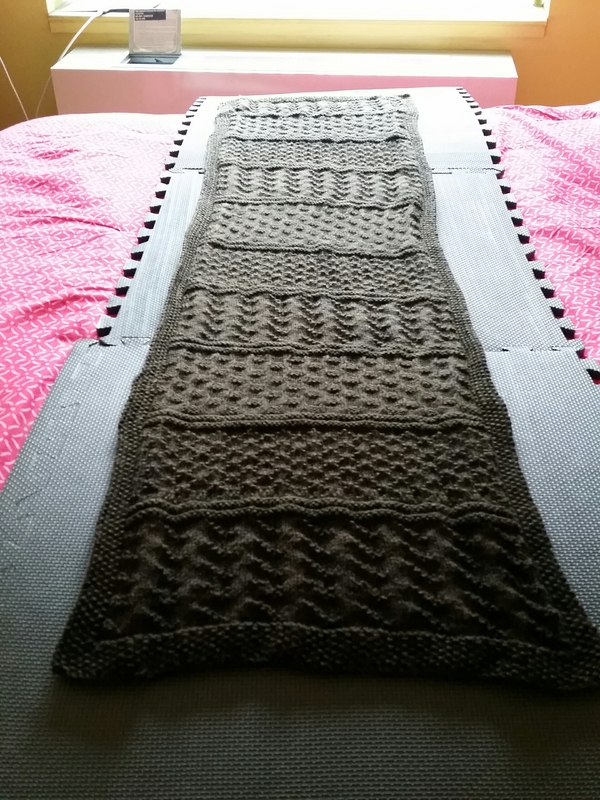 It still needs blocking & stray ends weaved in, but happy with the way it came out. And that I can finally move on to focus on my next work in progress. 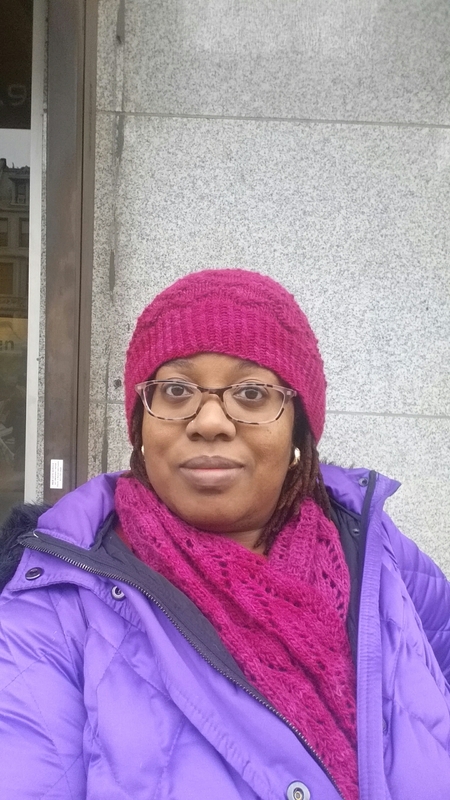 Despite the rain and the dreary weather, I made the trek all the way to Brooklyn for this year’s fiber festival. 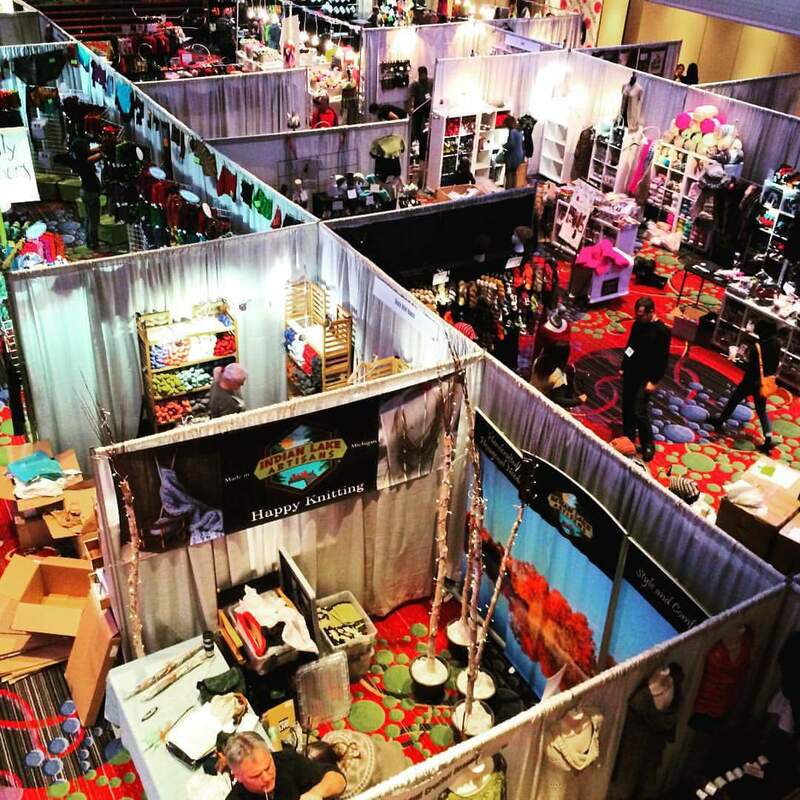 This year featured several new vendors, most notably Signature Fiber Arts. 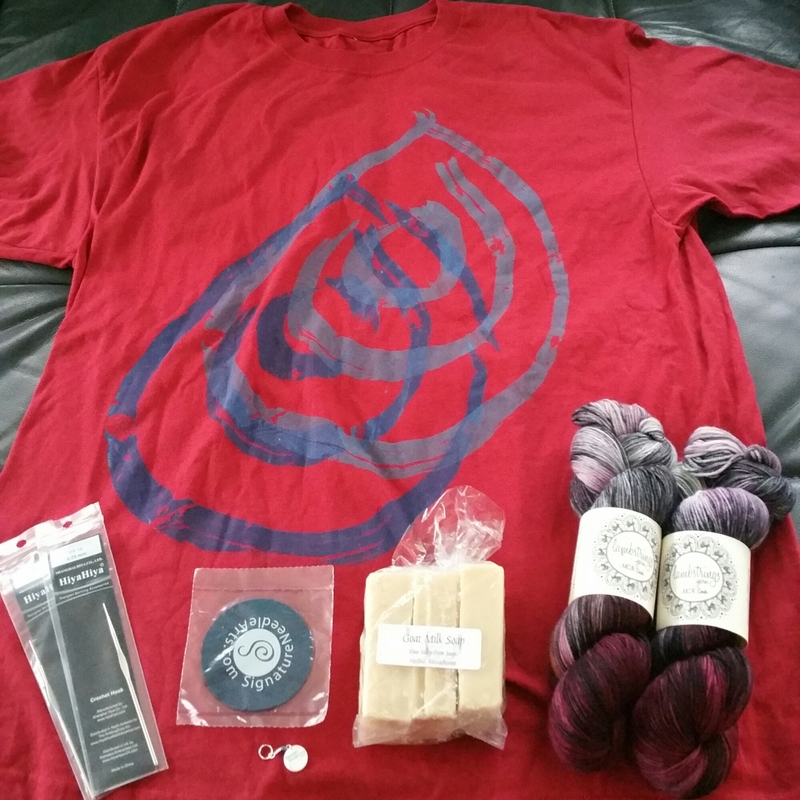 I picked up a small stash of goodies, mostly non yarn items since the plan is to save most of my cash for Rhinebeck next week. Pictured here is a T-shirt I bought from Red Bridge Studios in Brooklyn. Two really small crochet needles I plan to use in the future for bead knitting projects. A rubber grip and stitch marker gifted by the Signature Fiber Arts booth, who were offering 10% discounts on their products. Some goat milk soap from River Valley Farm in Massachusetts. Also of note is a new yarn vendor I came across that also manufactures and sells their own yarn spinners. The machine above is spinning 2 ply yarn from the yellow cone. Then another spool spins blue thread around the yellow yarn and winds it onto the bobbin. I almost left the festival without buying any yarn. 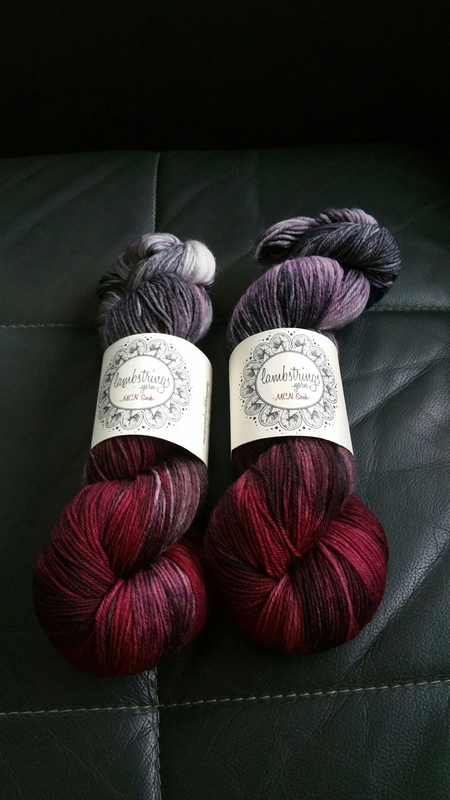 After being so undecided about the color choices I settled on this pair of skeins of merino/cashmere/nylon yarn from Lambstrings. I told myself I wasn’t going to buy anymore sock yarn, but the colors were just too tempting. Tres leches cake gives me life. 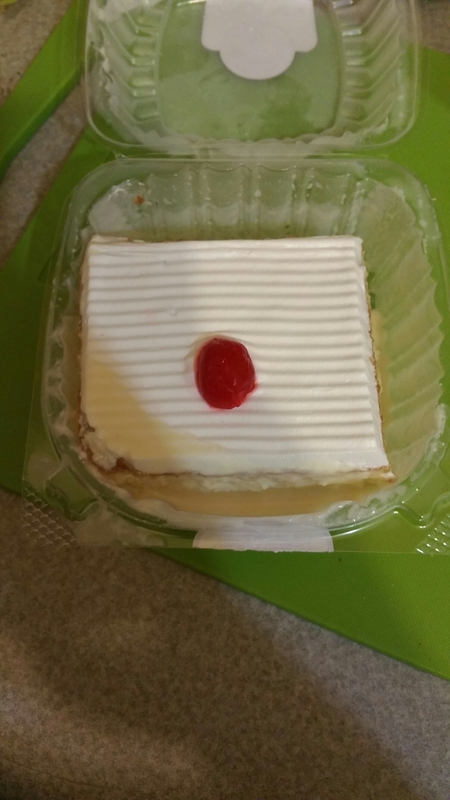 Every time I order lunch from the local Spanish restaurant across the street from work, I always include a slice for dessert. 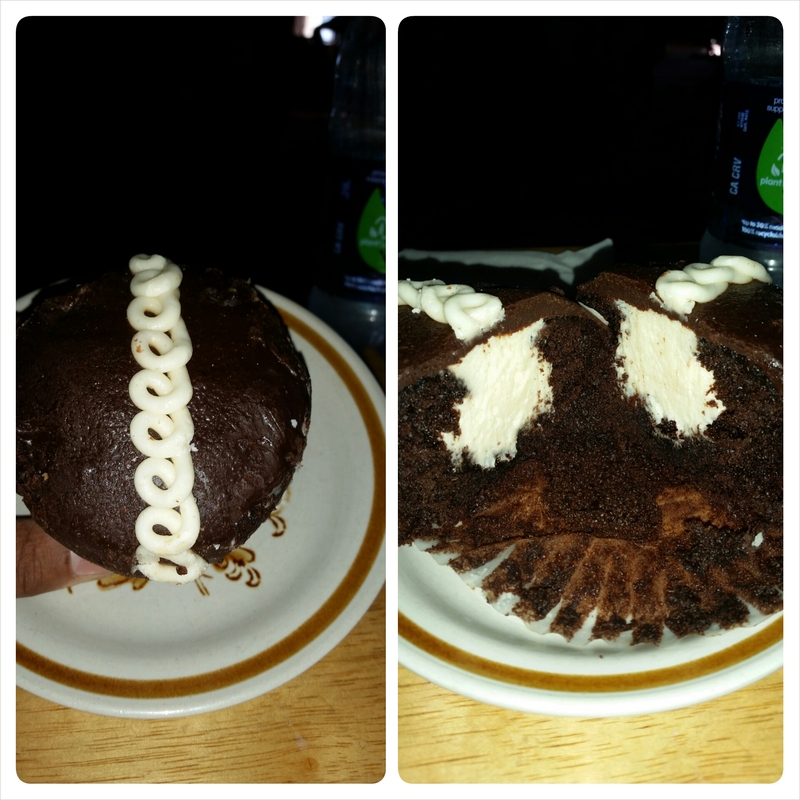 And then I feel guilty after eating a dessert that is so heavy on dairy. And not just milk, but milk in 3 different ways like the name indicates. So, like all the other cakes & ice creams that I love dearly, I want to find a way to enjoy a healthier version of this decadent dessert. Since the traditional version uses evaporated and condensed milk, which after looking at the ingredients on the can one day and now abhor, I want to attempt a dairy free version. 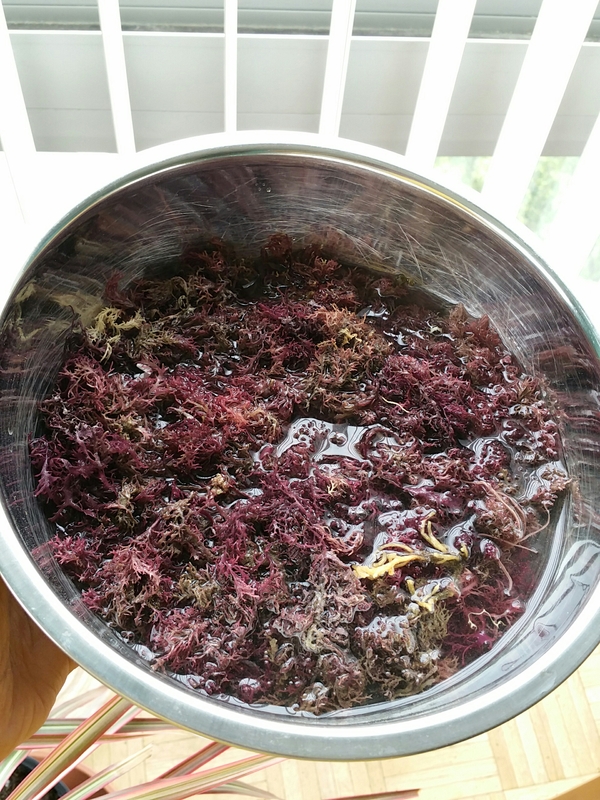 So I searched and found a few recipes online. Most of them call for combinations of soy and coconut milks, which sound alright but I don’t suspect will have that same impact on the taste buds. Then I found instructions to make condensed coconut milk, and my interest piqued even further. My quest is to make a dairy free tres leches cake, using variations of coconut milk. If I can pull this off, it will be epic. Wish me luck. 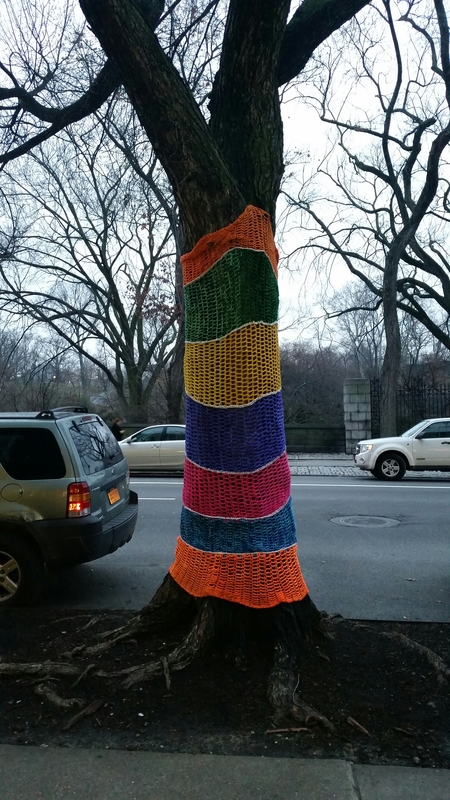 Yarn bombing has finally come to NYC. I jumped off the bus on the way home from Macy’s just to take a photo of this tree in front of El Museo Del Barrio on the east side of Manhattan. 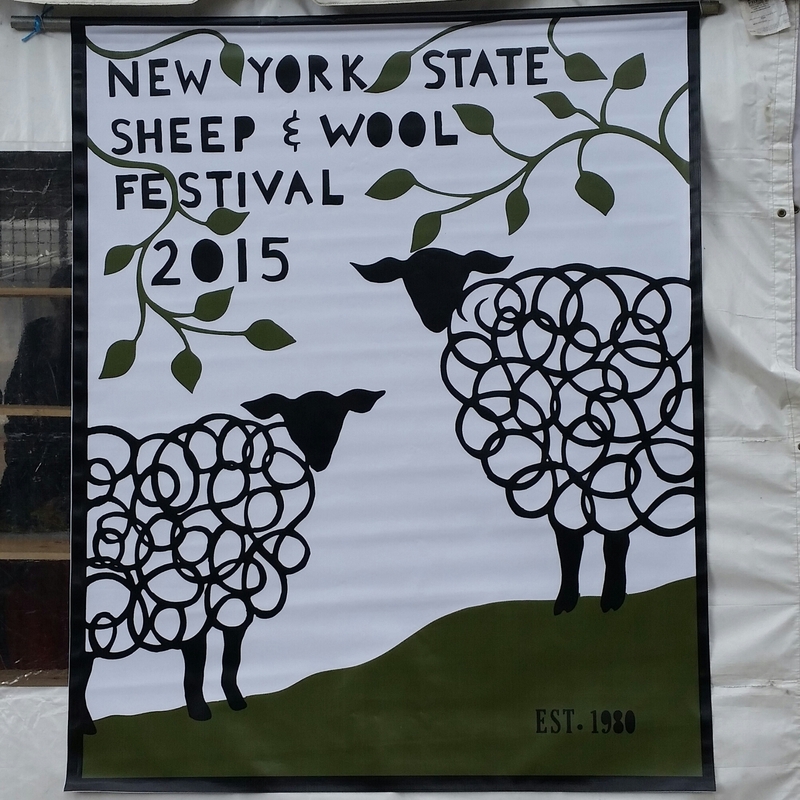 Didn’t mean to wait this long but last week I made the annual trek upstate to what is officially known as the Dutchess County Sheep and Wool festival. But knitters, crocheter & yarn spinners everywhere know it simply as Rhinebeck. For the last few years it has been an annual pilgrimage for myself and Nicky from D’NALI. Nicky decided not to travel this year, I have missed encouraging her to splurge on yarn, wool and such. Rather than ride the Amtrak alone, my family decided to make the trek upstate with me. So it’s my mom, sister, niece & 4 year old nephew loaded up in a huge truck rolling upstate for the 2 hour ride. Since I’m the only knitter in the group & would be the one yarn shopping, I directed them to the food pavilion. 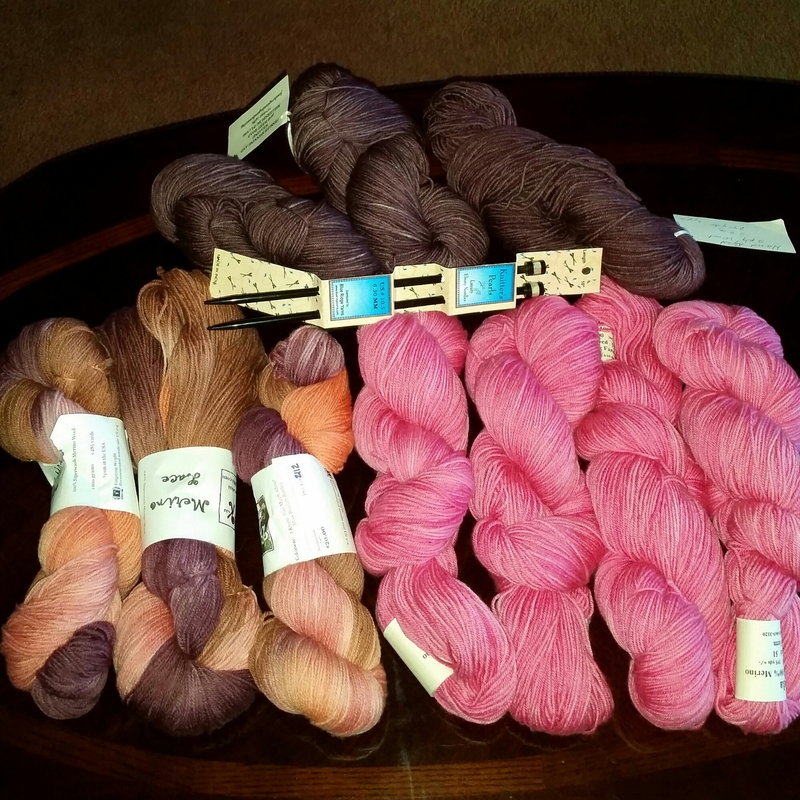 Then made a beeline for the yarn shopping. 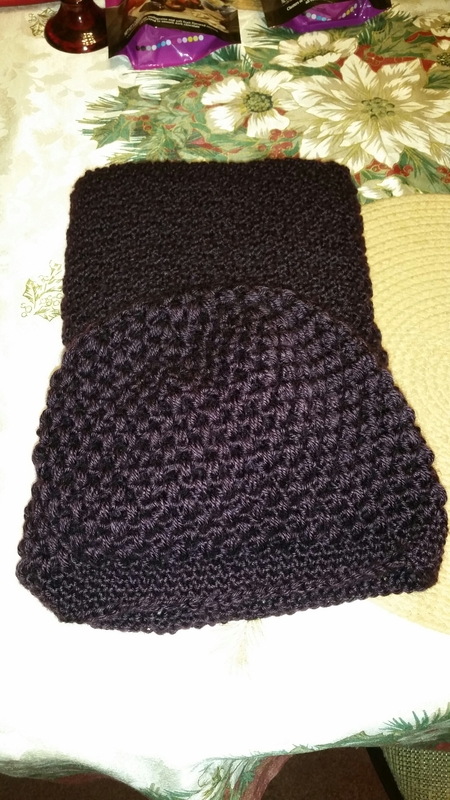 I didn’t aim to buy too much since I still have a lot of stock left over from previous years & recently bought a bunch of yarn from Michael’s to make holiday gifts. Always a bargain shopper, I did manage to find these great deals though. 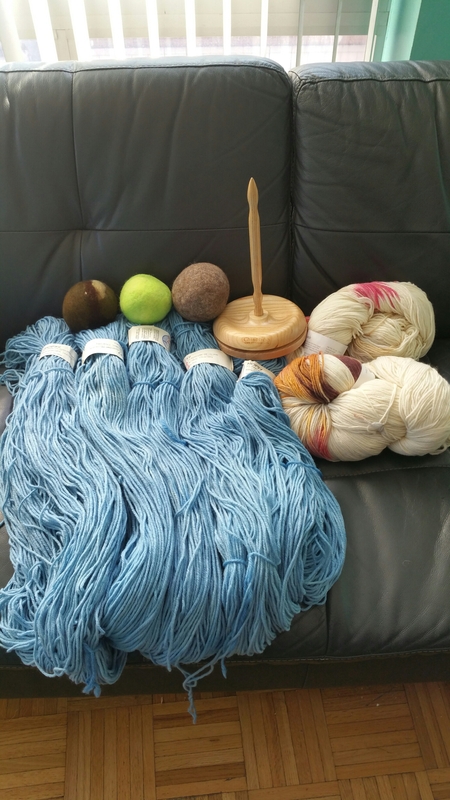 On the top is handspun yarn from one of my favorite vendors, Fessler’s Spinning & Weaving out of PA. I’ve managed to buy yarn from them almost every year without fail. 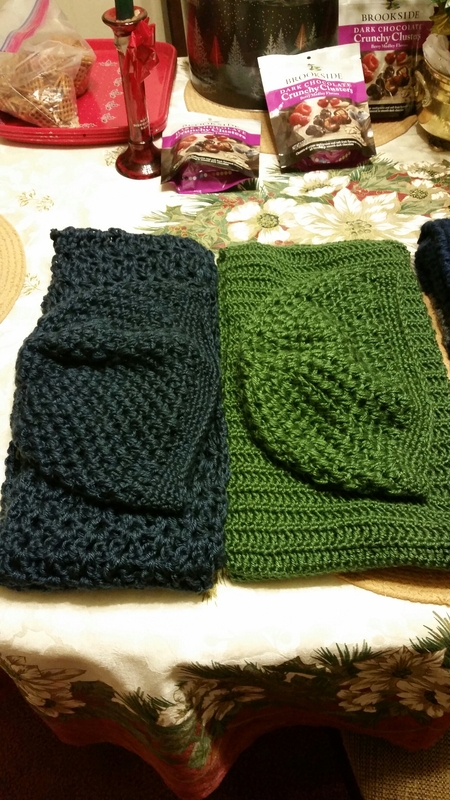 What I love about them is not just their yarn, but for the price they give a lot of yardage. This time I bought 3 skeins of worsted weight eggplant purple yarn that will be a future shawl, maybe a sweater, not sure yet. I’ll decide when I’m ready to work with it. 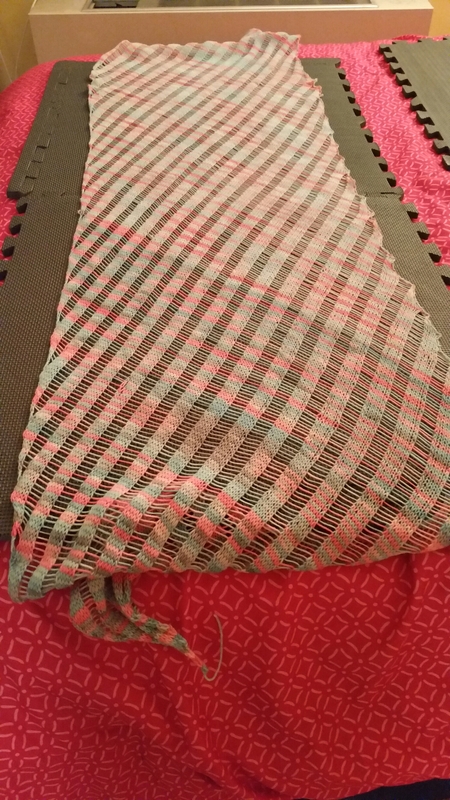 Fiber Arts. I didn’t mean to buy anymore sock yarn, but this was too nice to pass up for the price. 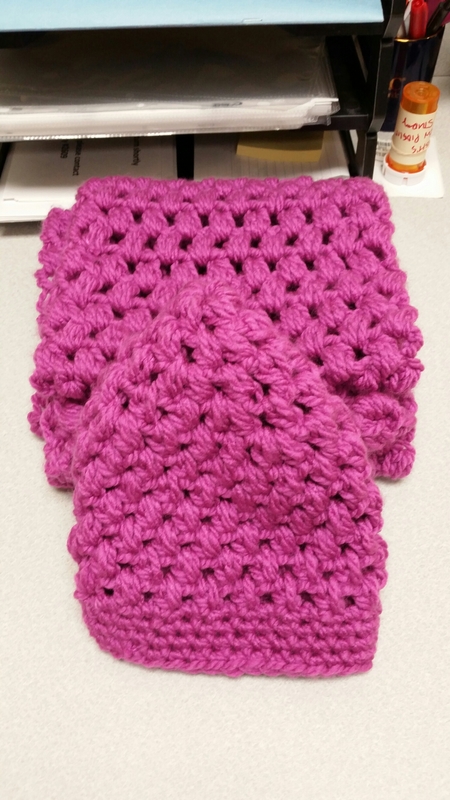 The pink yarn is from Rose Spring Farm, also out of PA. 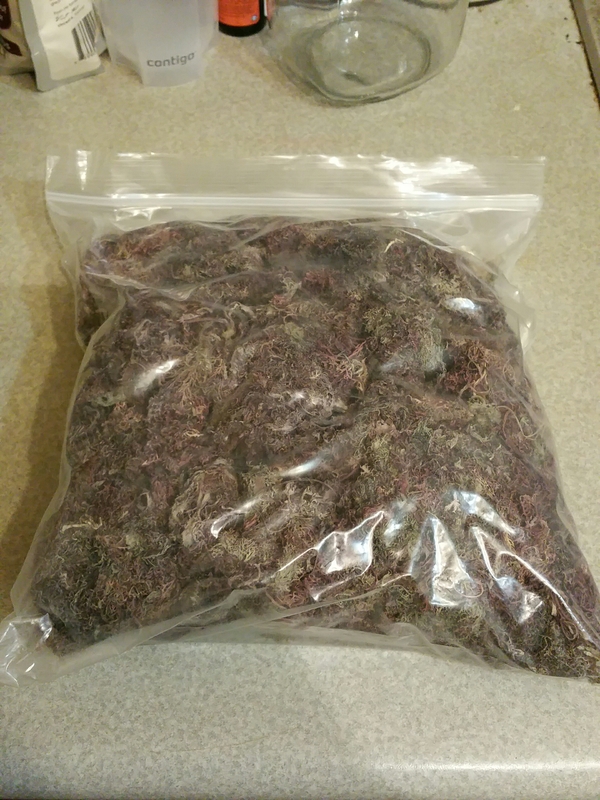 I bought on a whim simply because it looked so pretty. 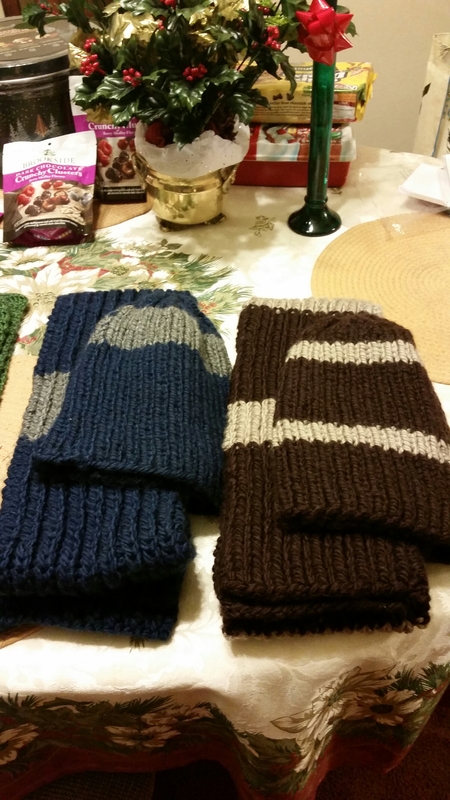 It’s worsted weight which is my favorite to knit with. 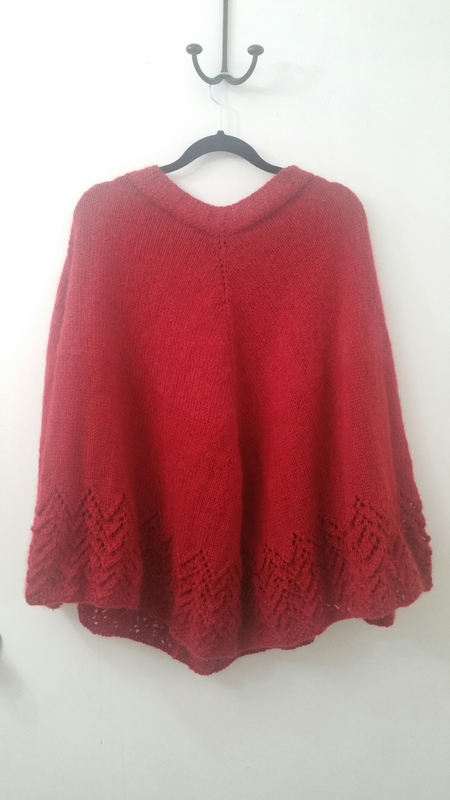 The sellers offer a 10% discount on your next purchase when you bring your knitted project at the next fair they participate in along with their product label. 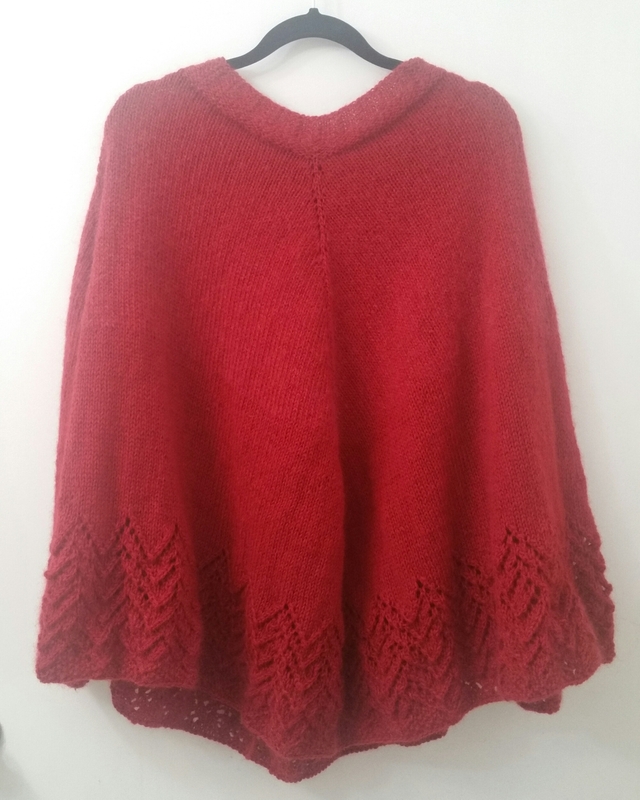 The folks at Harrisville Designs, from New Hampshire were running a clearance sale on this yarn the entire weekend. By the time I found their booth, this was all that was left. Skeins were reduced to only $5 each. This was totally an impulse buy. 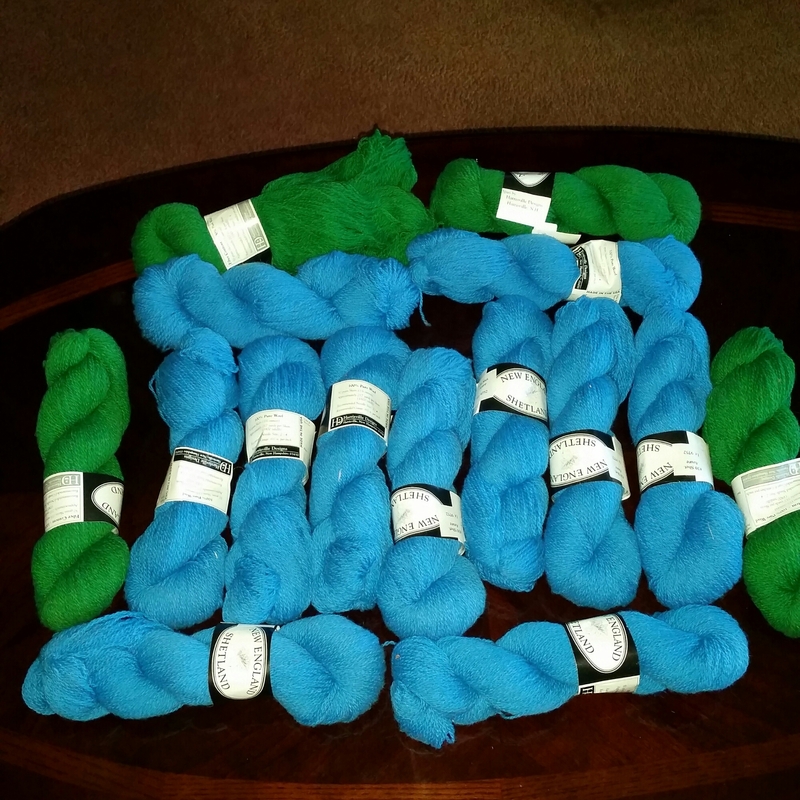 I saw all those blue skeins & instantly thought there’s enough to make a sweater. While my sister & niece fawned over the pastries in the food pavilion, I headed straight for the wines. 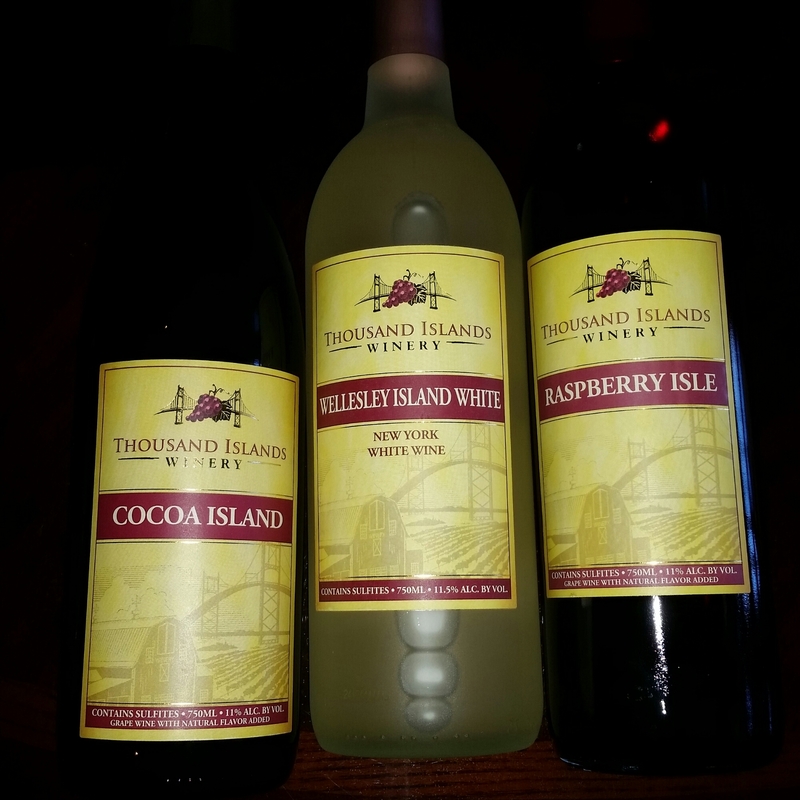 The Cocoa Island & Wellesley Island White are favorites of mine from last year that I bought from Thousand Island Winery. I’m happy to report their wine is stocked at one of the local wine shops I frequent but not these varieties. Raspberry Isle is a new dessert wine flavor that literally tastes like raspberries, which I’ll definitely enjoy during the winter months. If you’re there on sundays at the food pavilion, later in the day, vendors will begin to discount their prices to move produce on perishable items. I bought 3 large pastries for $12 when normally they sold for $7 each. Sis & niece claim they will return next year, for the pasties no doubt. 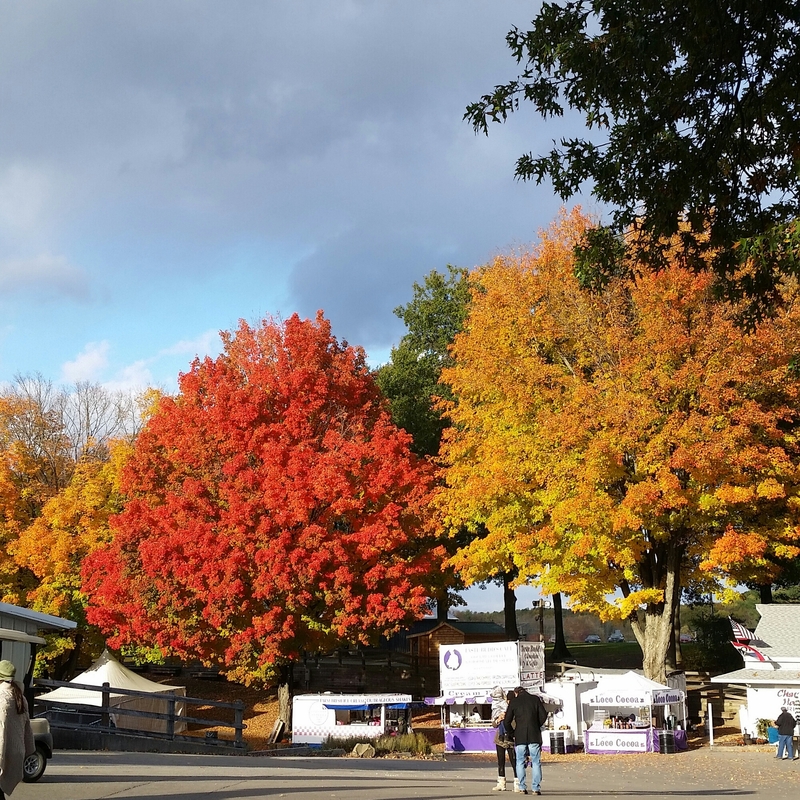 The best part of going to Rhinebeck though, besides the yarn is to view the autumn leaves.